Plant stating time is fast approaching; we finished our Seed Orders for 2017 here are a Few More New Varieties we are trying. 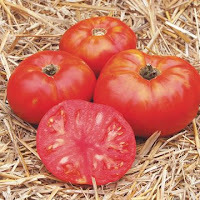 Our Goal is to select Fruit & Vegetable varieties that produce Healthy, full flavored, Nutrint rich, and provide natural plant disease resistance. Small, (4-10lbs) early melon with dense, flavorful flesh and long shelf life—perfect for taking to market. 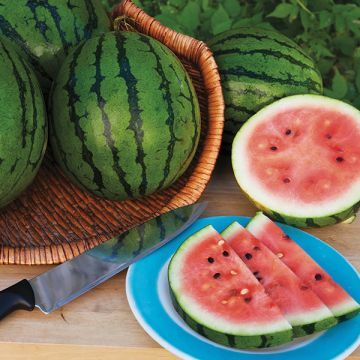 Beautiful light green melons with dark green striping and slightly oblong shape. 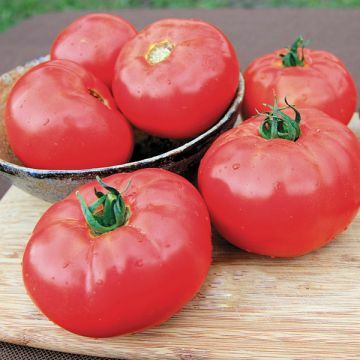 Flesh is a deep pink with excellent sweet flavor and dense, fine-grained texture. Long shelf life and the highest yields of any hybrid melon in our trials! Unique blue-green savoyed leaves on extremely vigorous plants. One of our most tender kale varieties; ideal for raw kale salads and soups. Leaves are very dark blue-green and heavily savoyed, sweetening with each frost. 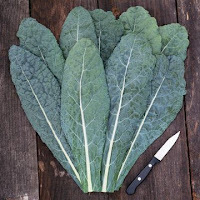 Also known as Dinosaur or Tuscan kale. 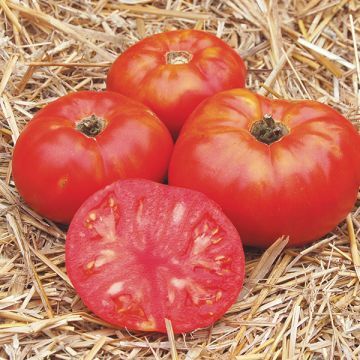 Our strain has been improved by breeder Frank Morton of Wild Garden Seeds and is exceptionally large, vigorous and cold tolerant. B. oleracea. 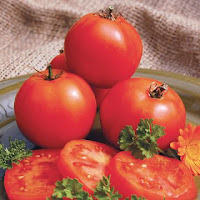 TMV Our largest, most disease resistant greenhouse tomato with full, rich flavor and attractive creased shoulders reminiscent of an heirloom. 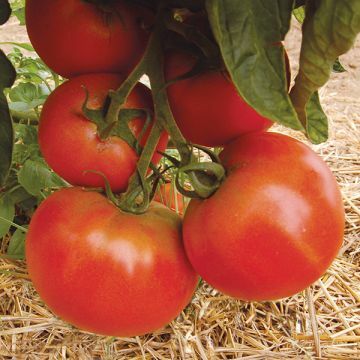 Shiny bright red fruits grow in clusters of 4-6 on vigorous plants and hold well on the vine. Plants have short internodes and good fruit set even in hot weather. Recommended for the field or high tunnels. Intermediate resistance to root-knot nematodes.